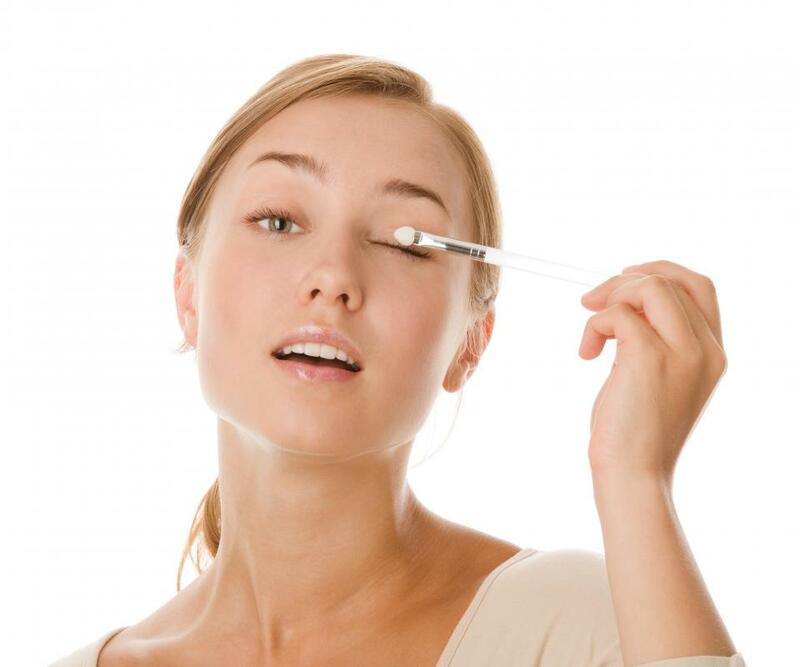 Eye shadow brushes are used to apply powder to the eyelids. An eyebrow brush is used to apply makeup to the eyebrow. Different eye makeup brushes include those for applying eyeshadow, eyeliner and eyebrow makeup. In addition, many people who regularly use cosmetics also use eyelash and eyebrow grooming brushes as part of their daily personal care routine. Eye makeup brushes come in various sizes, each suitable for use with different types of eye cosmetics as well as specific makeup application techniques. Individual makeup users typically choose one or more brushes depending on their application preferences and the types of eye makeup that they use. Eye shadow brushes are used for the purpose of applying and blending eyeshadow. These eye makeup brushes, in a variety of shapes and sizes, each intended for use in a different section of the eye or, in some cases, for blending. For example, many eye shadow brushes have a rectangular shape and can be used to apply eyeshadow on the lid or brow bone. Contour brushes, on the other hand, are more narrow and circular in shape, which makes it easy to apply a dark shadow along the crease. Eye makeup brushes with long, fluffy bristles can be used to blend eyeshadow so as to create a natural look. While it is possible to use a sponge tip applicator for blending, it is typically preferable to use a blending brush as it is easier to clean the brush after each use. In addition to eyeshadow brushes, other eye makeup brushes include specialized tools for lining the eye and coloring eyebrows. Eyeliner brushes include small, flat bristled brushes that can be used with dry eye shadow to line and accentuate a person's eyes. Eye makeup brushes with bristles that come to a very narrow point are designed for use with liquid or cream eyeliners. For those who prefer to use powder or wax eyebrow makeup, small brushes made with stiff bristles caught on an angle can provide a very natural eyebrow look. These brushes can be particularly useful when filling in sparse sections of the eyebrow. Another commonly used makeup tool is the dual-end eyebrow brush and eyelash comb. This tool is usually included in makeup brush collections, and can be very helpful in creating a more polished look. The eyebrow brush can be used to brush eyebrows upwards so as to assist someone in identifying stray hairs for plucking or trimming. In addition, after being brushed into place, an individual can use a clear brow mascara to keep his or her brows in place. 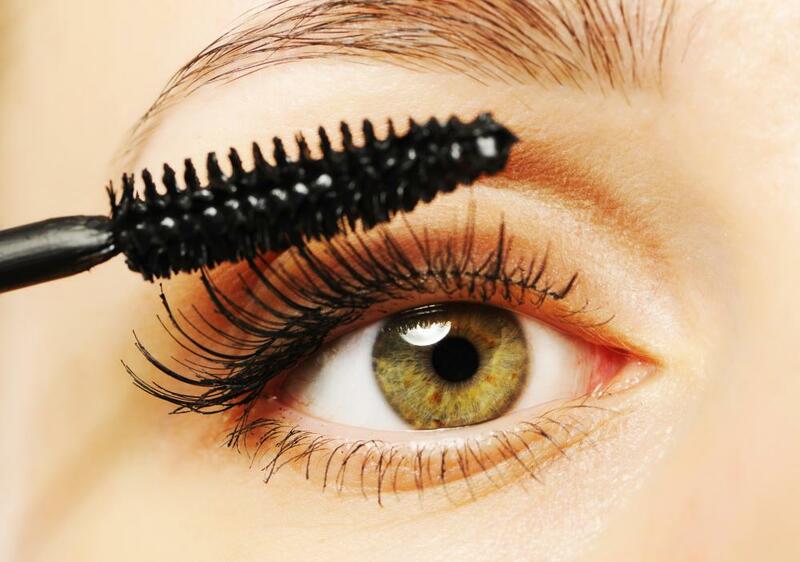 An eyelash comb helps mascara users address problems with clumping. The user can simply draw the comb through lashes after applying mascara, creating the appearance of naturally thick eyelashes. How Do I Choose the Best Eyelash Brush? How Do I Choose the Best Eye Makeup for Hooded Eyes? What Are the Best Tips for Eye Makeup Application? What is Smokey Eye Makeup? What are the Different Types of Eye Makeup?